Use Xerox Premium Digital Carbonless Paper A3 to create multipart/NCR forms on your mono or colour laser printer, digital press, or copier. 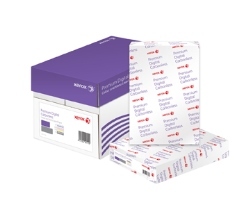 Xerox Carbonless pre-collated A3 paper is the ideal way of producing small amounts of Carbonless forms in one simple process. The specification of the laser printer or copier used, determines the pre-collation option required for automatic pre-collated multi-part forms.